MINI-TAC PRO | Pro Chem, Inc. 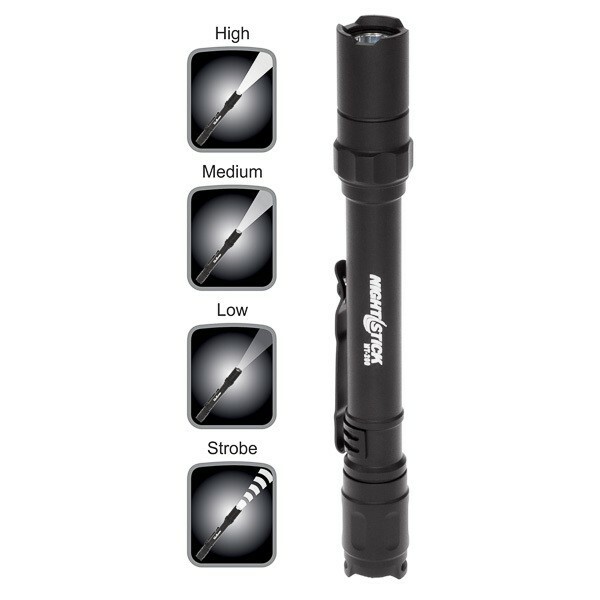 The MINI-TAC PRO uses a CREE LED rated at 200 lumens with a high-efficiency deep parabolic reflector. The reflector creates a tight, long beam for distance illumination. It can be used as a flashlight or a strobe light. 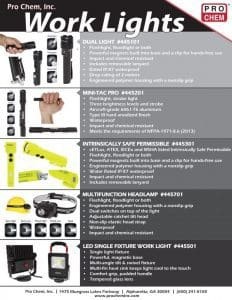 The rugged tail switch makes changing the setting easy and provides momentary or constant-on function along with three brightness settings and a disorientating strobe. This light also comes with a removable pocket clip.